The hunger for EVs grows stronger, the Chinese auto market looks weaker, and Carlos Ghosn is still in jail. All that and more in The Morning Shift for Wednesday, Jan. 16, 2018. 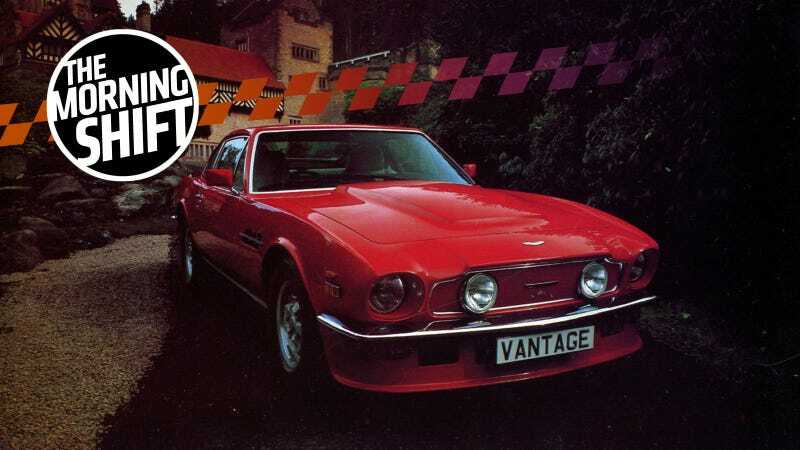 Aston Martin Lagonda Global Holdings Plc’s board before this week authorized contingency planning for Brexit that included shipping car components via air freight to allow for the use of ports other than Dover, which faces potential chaos in a no-deal scenario. For the last eight months, Volkswagen AG- owned Bentley has likewise supplied some parts through an alternative port, CEO Adrian Hallmark said at the conference. “I may have to eat these words — we are prepared,” Hallmark said. Bloomberg described these companies as “bracing for disaster,” which sounds about right. Wall Street was hoping for a blockbuster deal, such as the billions of dollars General Motors Co. landed for its self- driving unit from Honda and SoftBank Vision Fund last year. There also was some belief Ford would tap into VW’s massive electric-vehicle development program, so the companies could jointly take on Tesla Inc.’s dominance of that segment. Instead, VW and Ford merely said they’re committed to exploring those areas, and formalized cooperation on commercial vehicles — a project the two companies announced they’d pursue seven months ago. The payoff from joining forces to develop trucks and vans won’t be peanuts: Ford sees the tie-up adding $500 million to its annual pretax profit. But that benefit won’t be felt until 2023. Ford, meanwhile, told the media that it’s personally excited for its upcoming Mustang-inspired EV, which makes at least one of us. Here’s another piece of news that caught my eye. Ford is expecting an all-around good 2019, eagerly anticipating the new Bronco for the U.S. and the new Territory SUV for China, as the Detroit News reports. But I still found it interesting that the company’s performance is not just down in China but way down. Ford Motor Co.’s deliveries in China last year plunged 37 percent from a year earlier to 752,243. Leading the company’s sales slump was its passenger vehicle joint venture in China, Changan Ford, which builds and markets Ford brand sedans and crossovers. It’s all interesting, particularly if Ford’s rosy outlook holds out. That the company could go through such a slump for 2018 and jump back in ‘19 would give a clear sense of how these companies are, uh, products of their product cycles. That’s a bad turn of phrase. I’m sorry. If you haven’t heard, optimism in self-driving cars is something that people engaged with in 2018. It’s a new year, with a newfound reality check for cars driving themselves. I, for one, look forward to our self-driving tractor overlords. Unlike Nissan, which acted swiftly to remove him as chairman, Renault has so far opted to keep Mr Ghosn in position after saying it had not yet gathered sufficient evidence of wrongdoing to act. However, people close to the company and the French state, have said that Mr Ghosn’s position would have to be reviewed if he is unable to fulfil his duties over the longer term. They have also stressed that such a move would not reflect any presumption of guilt. Top Renault execs even went to Japan to figure out what happens next, which apparently “caught Tokyo by surprise,” per the FT. I guess nobody thought they’d see this day come. Neutral: How Bad Is Brexit Looking? Let’s say you’re an auto exec. You’re running, I don’t know, Lotus. What’s your plan looking like for Brexit? How bad do you think it’s going to get?